Another view of the comfortable, beach chic living room. 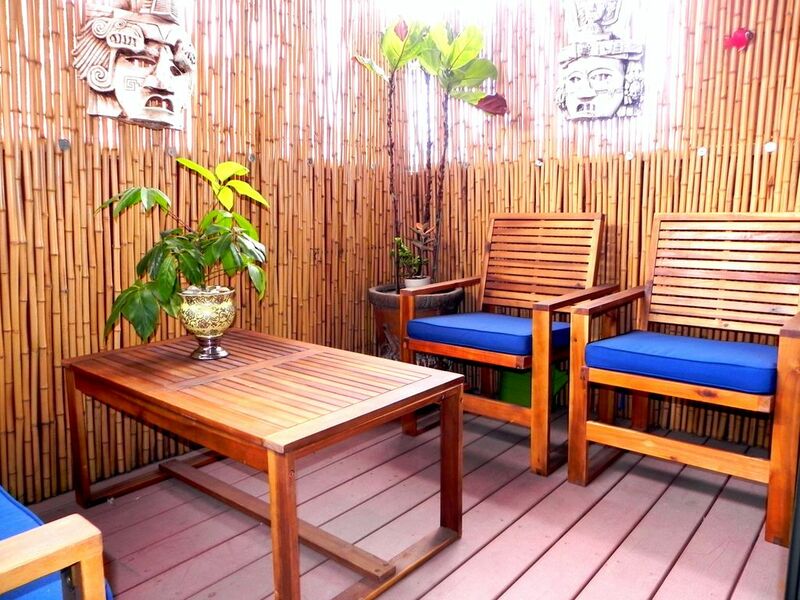 Ground level patio is a sweet private nook where you can relax in between your day's adventures. Living room area right off the outside patio has a flat screen TV and comfortable cluster seating. Modern kitchen has everything you need to create your culinary desires. Kitchen flows into the dining room and living area of the great room. Dining area for 4 right next to the kitchen. 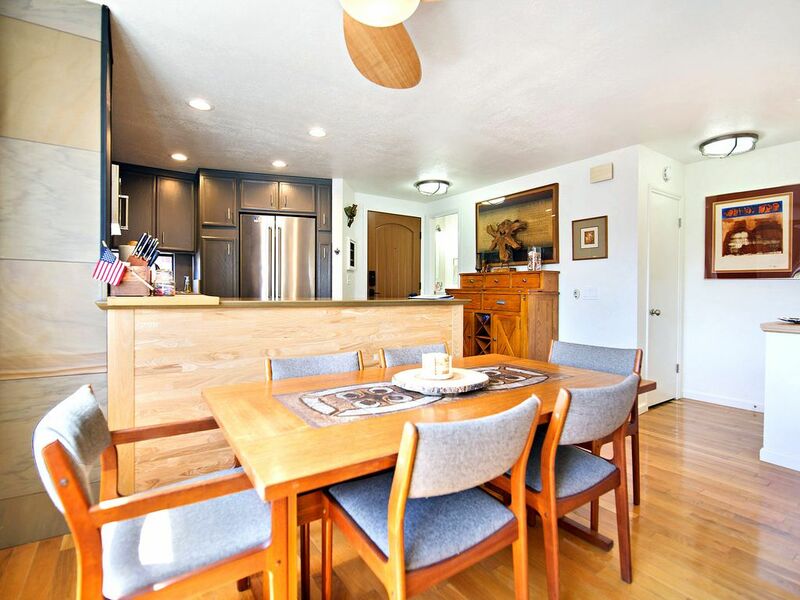 Light, bright dining area with a ceiling fan to keep you comfortable. 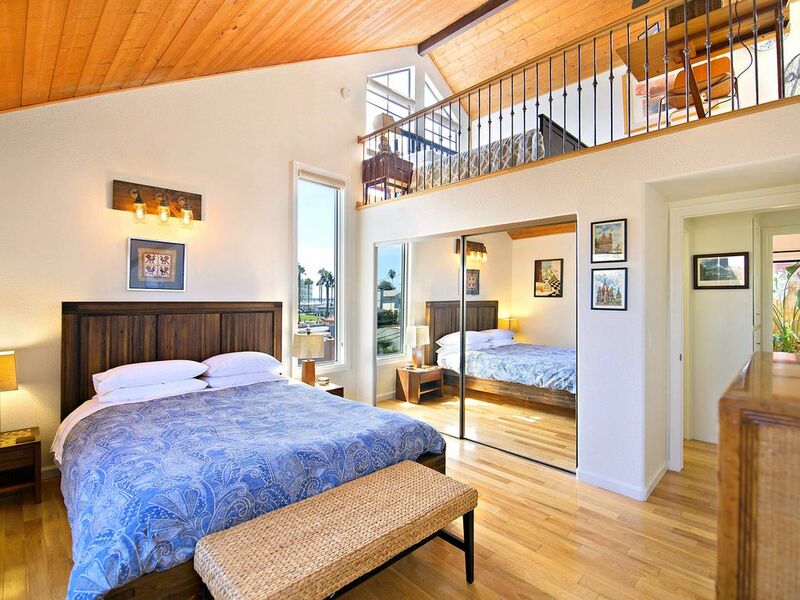 King bedroom with an upstairs loft. 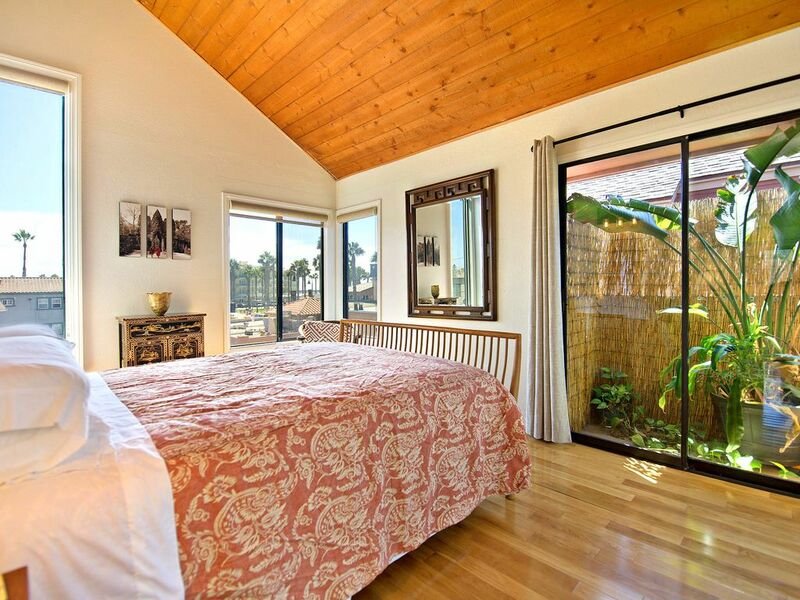 King bedroom with easy access to private outdoor patio. 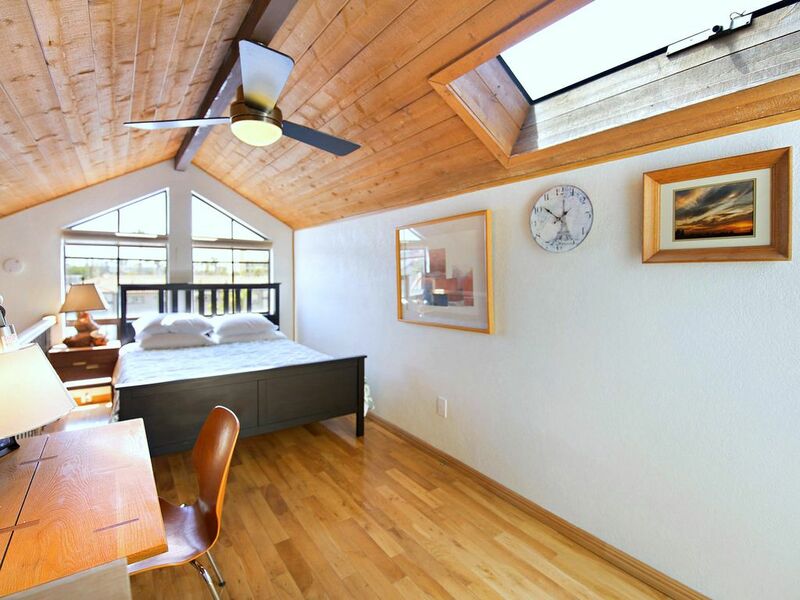 A queen bed, a desk, and a ceiling fan in the loft above the master king bedroom. 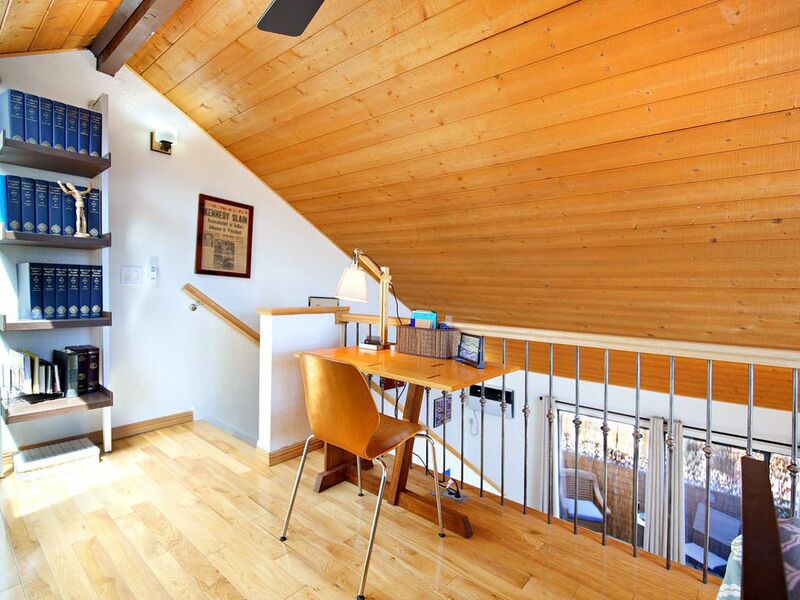 Another perspective of the loft. 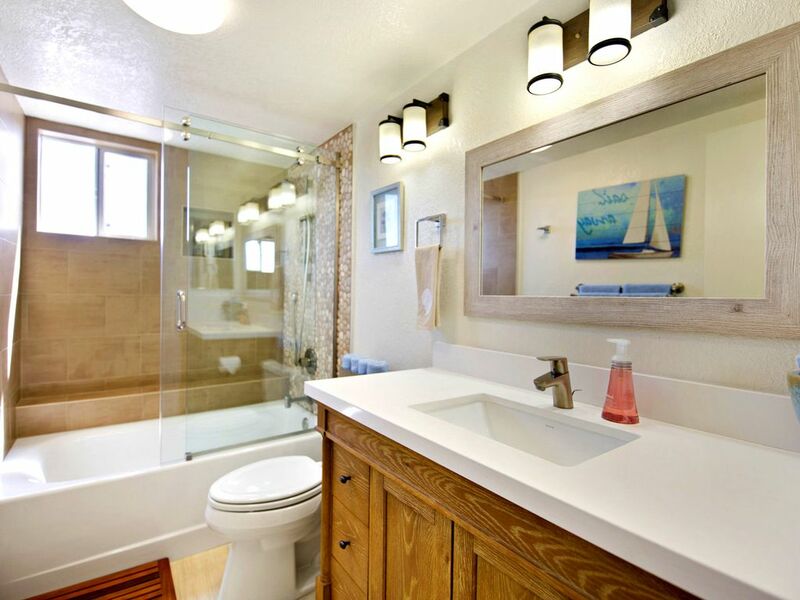 1 of the 2 modern bathrooms with a shower/tub combination. 1/2 bath on the floor with the great room area. 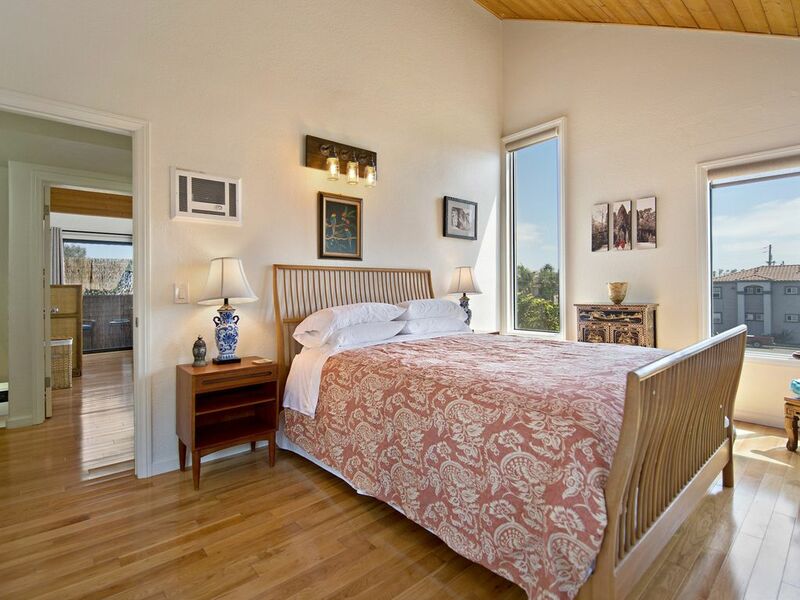 2nd queen bedroom with slider access to Mediterranean landscaped patio,. Outside dining nook under the balcony. 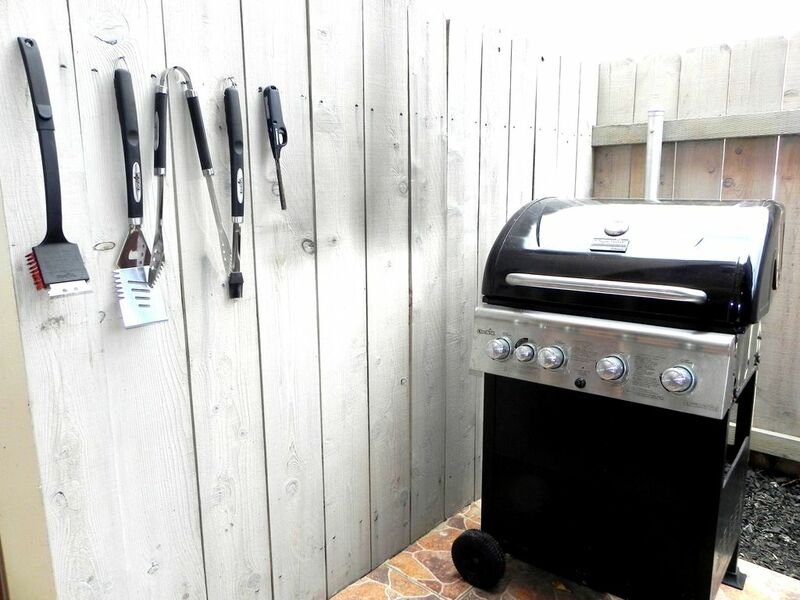 Barbecue nook when needed. Imperial Beach is a little less crowded than other beaches north of it. Great for families with small children. This a corner unit in a well-kept 10 unit condo cluster. 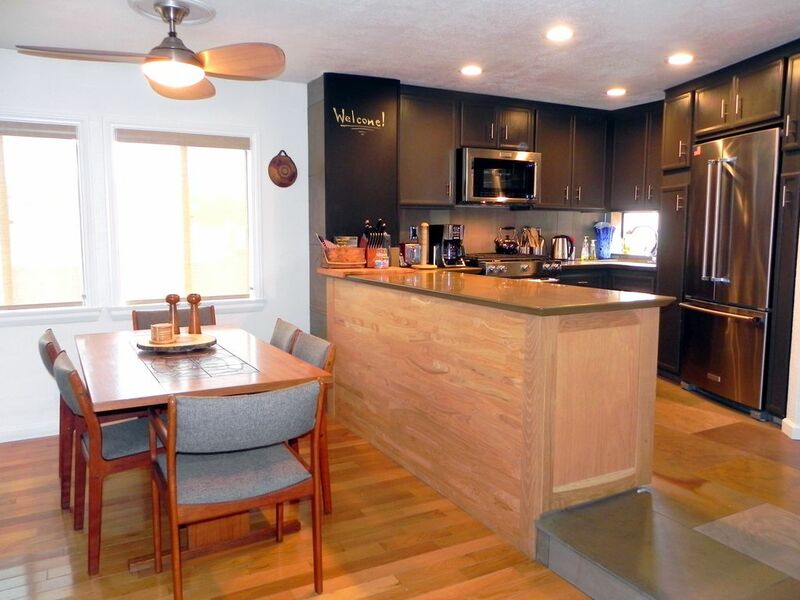 This gorgeous, remodeled 2-bedroom, 1.5 bath 1,242 sq. 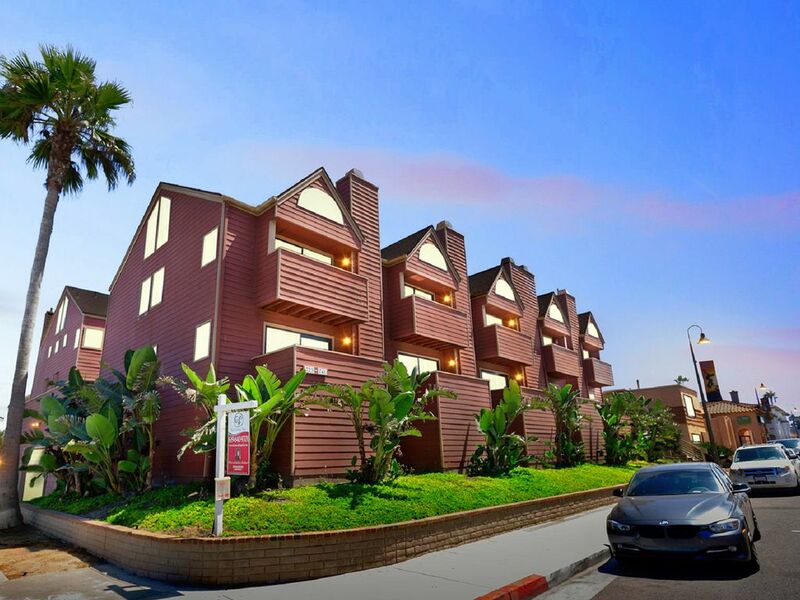 ft. 3-story condo is just a short walk to the beach and also very convenient to a wide variety of shops and restaurants, the Imperial Beach Pier, the Farmer’s Market on Fridays, and the Imperial Beach pier, where you can go fishing off the pier without a license! 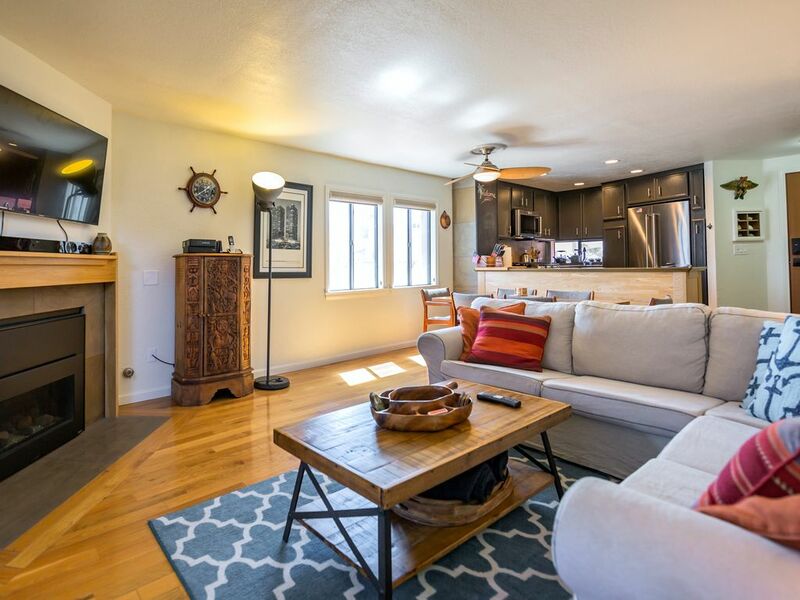 The main floor has a flowing updated beach chic great room that has a living room with a flat screen TV, and slider access to an outside patio with a sweet seating nook, a small dining table, and a barbecue. You'll be able to stay connected in your "home away from home" -- Bali Breeze has super high-speed Wi-Fi Internet and Premium Cable with on-demand streaming, via voice access, of your favorite episodes and movies, including HBO, Showtime and Cinemax. 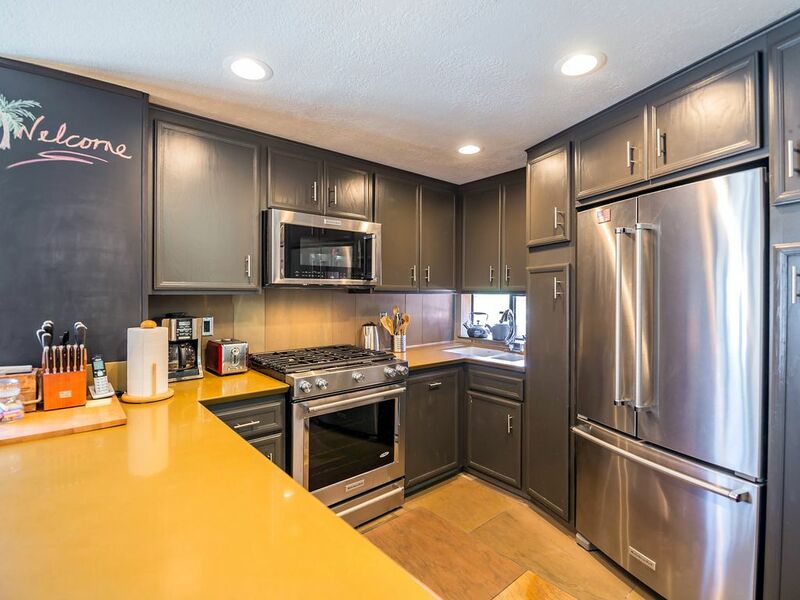 A fully stocked and updated kitchen with stainless steel appliances and granite countertops is beside a dining area for 4, making this a great place to create your culinary desires and share them. All you need to is add the food and the fun and you are all set. 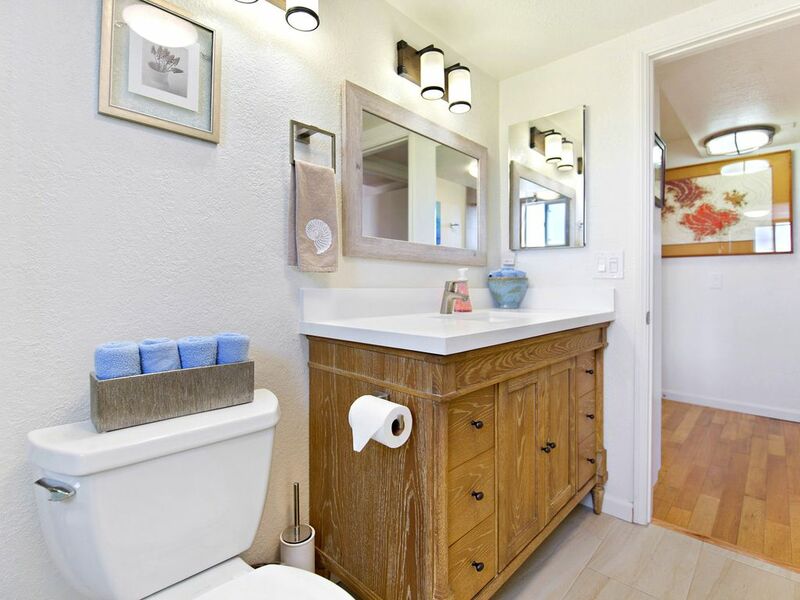 You'll also find a convenient powder room on this main floor. 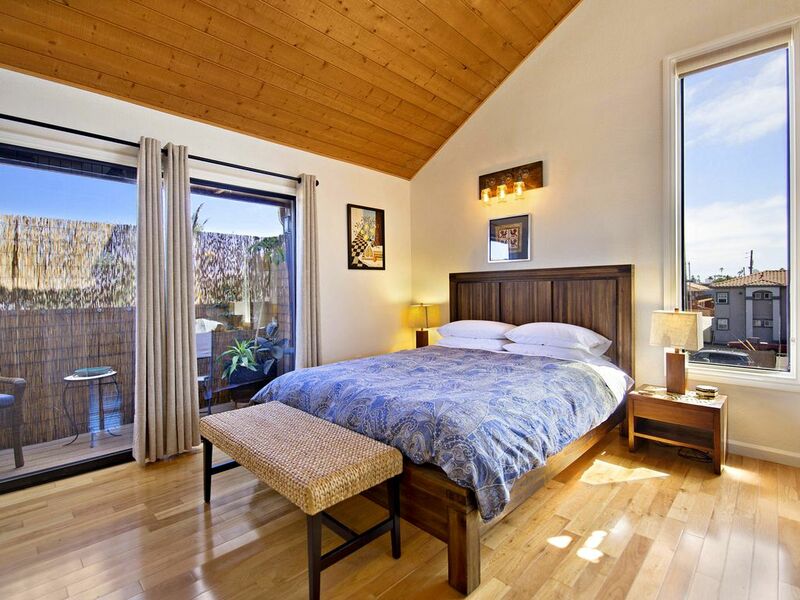 Upstairs, you'll find two bedrooms - one furnished with a king bed with a queen bed in its comfortable loft. There is a ceiling fan in the loft to keep you comfortable. Another separate bedroom has a 2nd queen bed so this home comfortably sleeps 6 in beds. These bedrooms share a main bathroom with a shower/tub combination. All bed and bathrooms are furnished with an ample supply of premiere linens for your ultimate comfort. 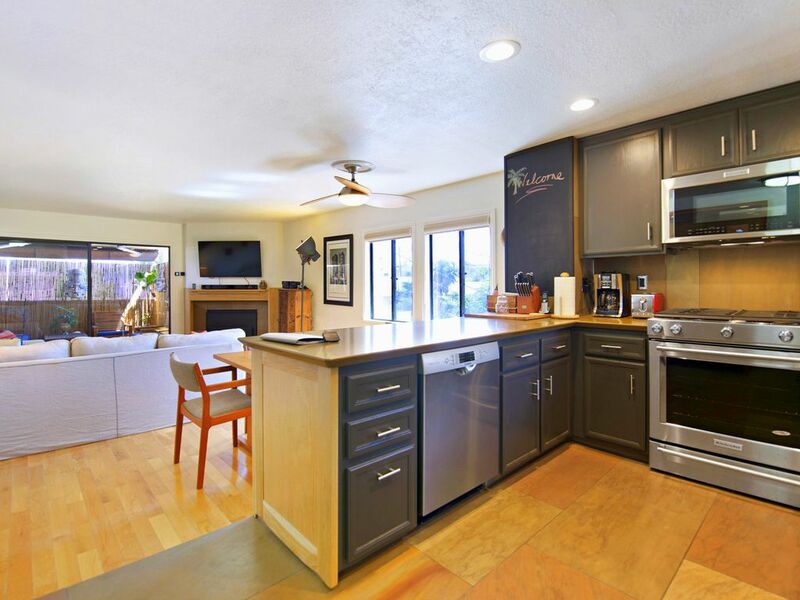 Additional amenities include off-street parking in a private, secure garage equipped with a washer and dryer. There is also an outside shower. Walk along the beach collecting shells and sand dollars – or stroll along Seacoast Drive for a walking tour of some pretty cool public art installations. 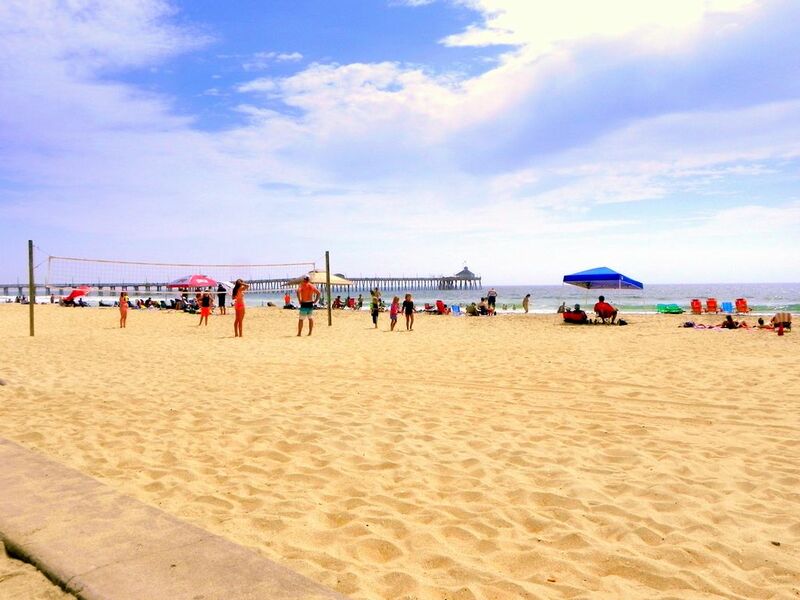 Join a game of beach volleyball or grab an ice cream cone and meander out along the wooden pier to watch the surfers and locals fishing for dinner. There are a huge variety of things to do here! 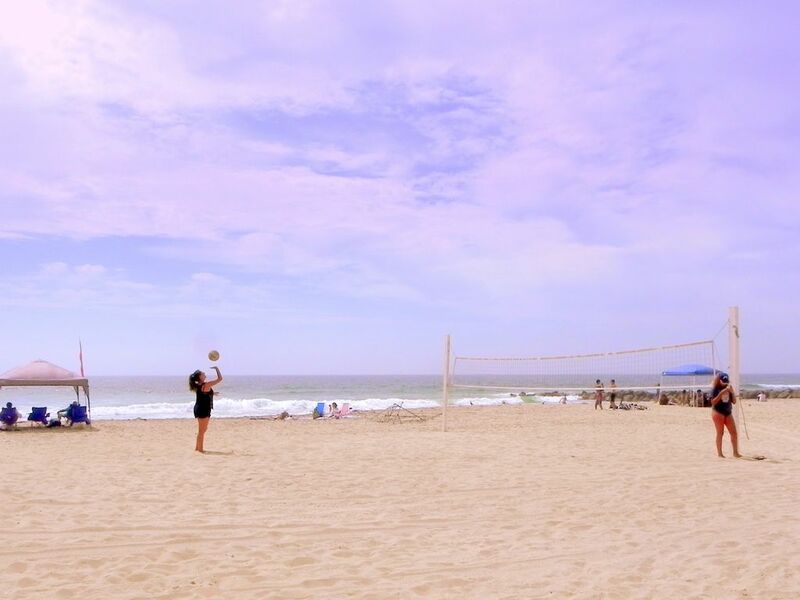 Imperial Beach is one of the last remaining, “Classic Southern California” beach towns - great for families with kids or those wanting to relax in a low-key environment without a worry in the world. 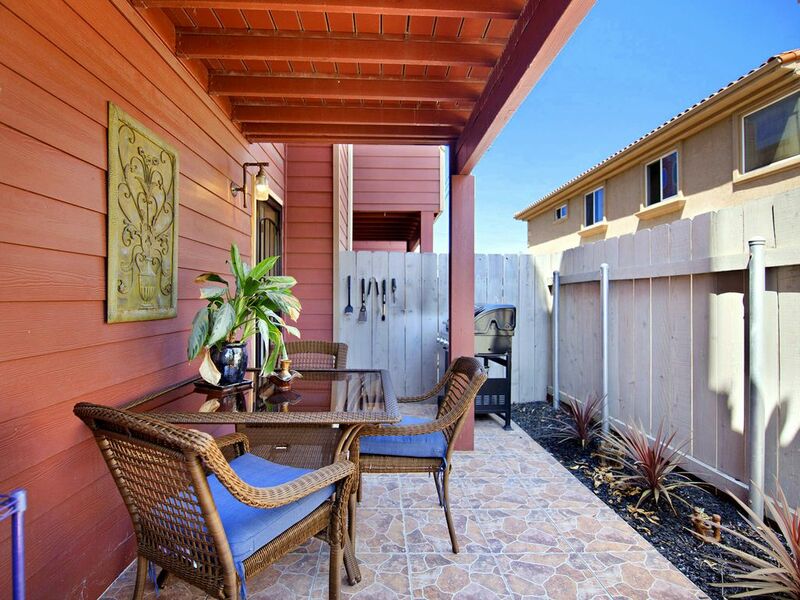 Bali Breeze is located in a quiet, low-key neighborhood so you might be surprised to find two dozen restaurants and coffee shops along with a handful of convenience stores and gift shops within a 10-minute (1/2)-mile walk along Seacoast Drive or Palm Ave. 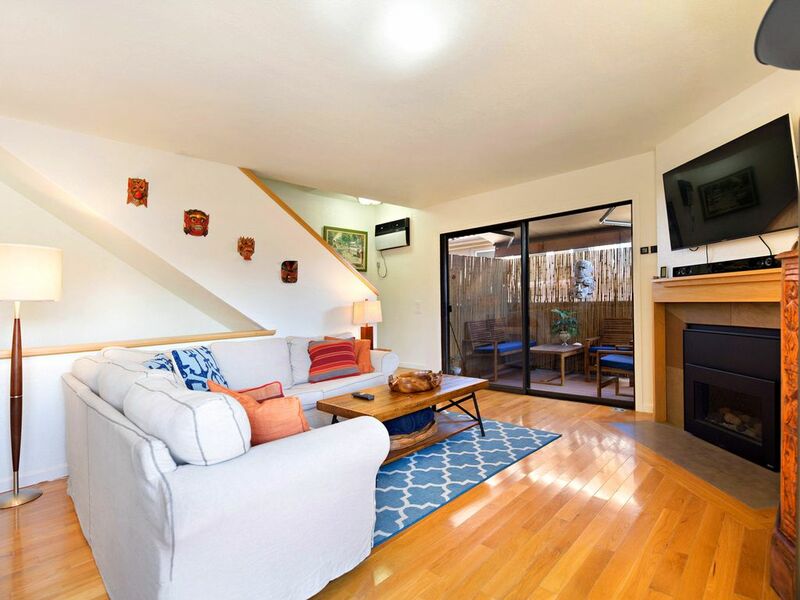 This home does have air conditioning for which there may be an additional charge. Please call our Reservations Team for details. 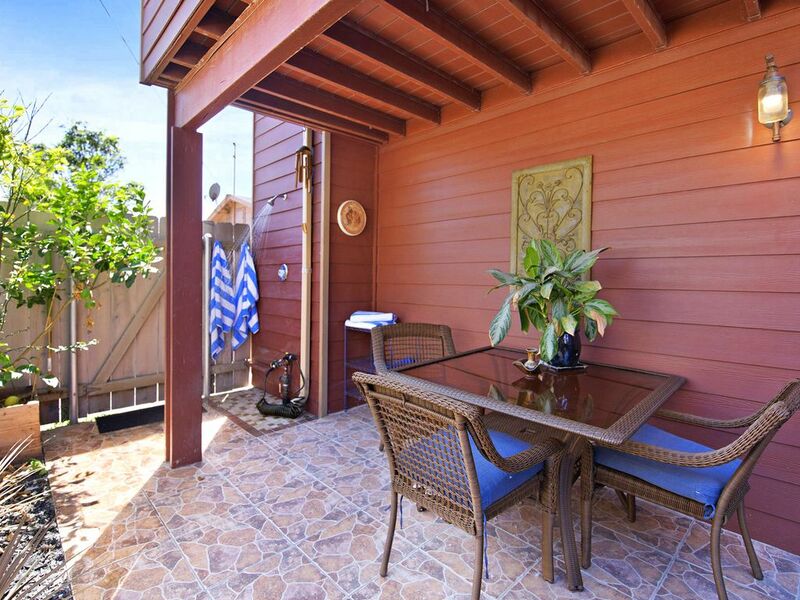 We would definitely recommend this place for anyone looking for a quiet neighborhood with great access to the beach. We enjoyed our stay and appreciate the service from Cindy and Paula. Wonderful home for families! This property was very clean and very spacious! Our family of four had plenty of room to spread out and relax. The kitchen space was wonderful and we loved having a little patio to hang out on as well. Having a garage to park our rental car in was great and our boys loved all of the beach toys. I really appreciated having a wagon to put everything in and not have to carry it all to the beach - that was a lifesaver! Having beach towels, chairs and the boogie boards available were awesome added treat too. And the beach was just across the street so the access couldn't have been any better - it was amazing. 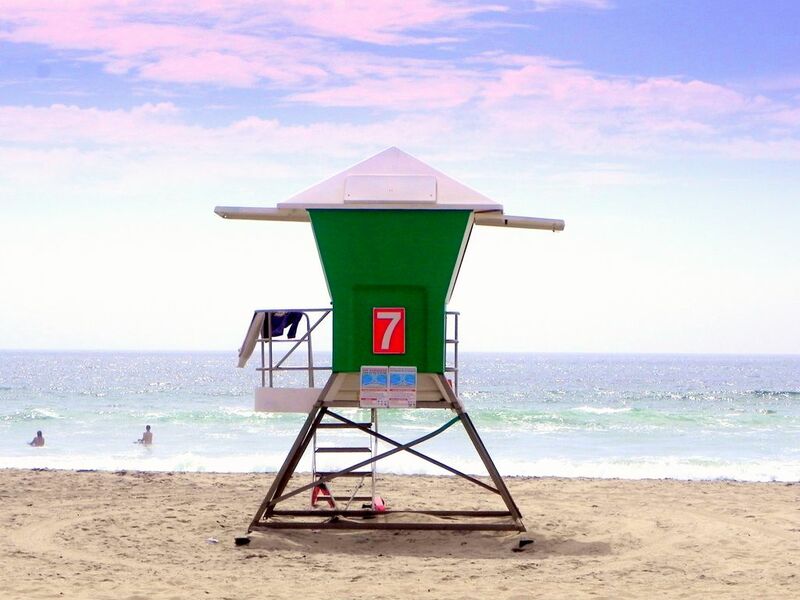 There are some great local restaurants and Imperial Beach is really very laid back which is what we were looking for after a very busy school year. We would definitely recommend this place for anyone looking for a quiet neighborhood with great access to the beach. My family and I had a great time. While we were here for a home going, management left no stone unturned on the amenities. My family and I had a great time. What a beautiful spot and steps from the beach. Looking forward to coming back. Great hosts and great place! Will definitely book again. This place is absolutely perfect and has everything you could need for a trip to Imperial Beach. Thank you so much, absolutely loved everything about your place. Would love to stay forever! This place is true to the pics if not better. The communication was super fast and the hosts are patient and kind. The little touches like the beach supplies provided gave such a personalized experience. The home was perfect size for us and we loved the 3 outdoor patios in each bedroom and living room. The location is great bc its convenient to everything. We hit the zoo, the safari zoo, SeaWorld, and Legoland with ease (and with a two year old!). Plus Coronado Island is less than 10 min away. We would definitely stay here again when we come back to San Diego. Spacious condo steps from the beach! I stayed here with my 13 year old daughter and two of her friends for an end-of-spring-break long weekend. We loved the location, directly across the street from the beach. The personal parking spot directly under the condo in our own garage was amazingly convenient after our full days of activities with all the kids' stuff to lug around! The full dining room table was great for playing board games in the evening, the local restaurants within a minute's walk had an amazing diversity of options for such a small beach town, and the kids LOVED the large chalk board and jar of chalk in the kitchen! This is a great beach alternative to staying in pricey and crowded San Diego, we will definitely be back! We really had amazing communication from the managers. It was easy to ask questions in advance and during the stay. I so appreciated the great dishwasher, the keyless entry and the fabulous washer and dryer. There were great beach toys & chairs for our beach time. It's very walkable to the beach but with very limited view of the sea. Beach towels were supplied as well as plenty of bath towels. Also a few good restaurants nearby - Katie's across the street for the acai fruit bowl and the street tacos down the way were tasty. Be aware that there are lots of stairs to get up to the main level and also within this unit. It is a comfortable unit with clean bedding (so important!). Thanks so much for sharing the wonderful Bali Breeze with us. As for logistics, we really loved the ease of check in and out, codes we could remember, and clearly categorized information about our stay! It felt like we were staying at our cool friend's house...themed art touches, beautiful huge tiles in the kitchen, modern bathrooms, good knives, and many spices. How cool is that? WAY better than a hotel could have offered. The decor theme really made it special, we commented several times on what a nice touch it was to enclose the decks and extend the ambiance with a Bali theme. Real art was nice, too. Loved the awesome old books stacked on the dresser...so many thoughtful touches. The beds (and even the couch) were super comfy. We tried to leave the place almost as nice as we found it and hope to come stay with you again. I'd recommend this particular place to anyone I know. Thank you for the thoughtfulness to make things special. We even had a friend stop by who said she wished she LIVED at Bali Breeze! It's really nice to look at several places, decide on one, and have it turn out better than the photos. That's Bali Breeze. From the convenient email that clearly shared everything you need to know about the place, the surroundings, getting around, etc. to the upscale, yet casual decor, it was the perfect place for our family to convene between yoga classes at the San Diego Yoga Festival. It was like having that cool friend who has a beach pad you can use, stocked with everything you may want. Not the cheapest possible bare necessities, but nice white square dishes, a cool teapot and even loose tea provisions. Oh, there were even things like ziplock baggies, foil, spices, etc. 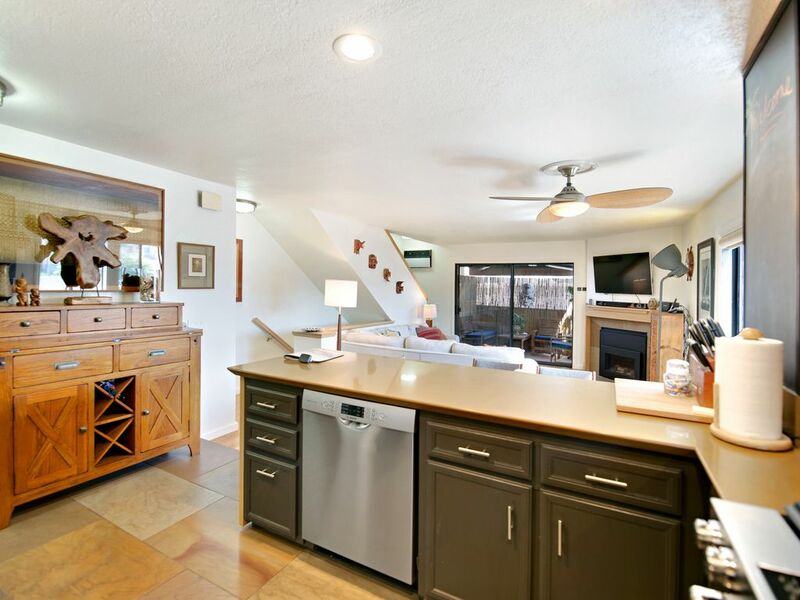 There was a full set of good, sharp knives, all upscale appliances, big gorgeous floor tiles in the kitchen, modern, clean bathrooms, with soft, quality towels, comfy beds...even anything you might have forgotten for the beach! Garage parking complete with a nice washer and dryer was a big plus, too! We hooked up Spotify on the SmartTV for tunes and enjoyed the place like it was our own. There was so much room, we did not even use one of the beds that was up in the loft. It's at the very end of the cute little complex with several ocean views, and has so many nice touches to carry out the Bali Breeze theme without going too far. Truly a little slice of paradise. We all loved it and would choose it again without reservation! Since I'm fair in all reviews, I will say the kitchen sink (while very nicely appointed) was kind of tucked in the corner across the way from the dishwasher (which was nice and new) so if you had a large dinner (the gorgeous dining table could seat 8 easily) you'd have a bit of a challenge with all those dishes. We were only three girls so it worked out fine for us, but wanted to mention that little caveat. If you need a lovely beach getaway, stop searching, and just pick this place, If you do, I'm pretty sure you'll be writing the next nice review. :) Oh, and I don't know the owners or managers or anyone, I found this after an exhaustive search of both AirB&B and VRBO. We stayed here for a long weekend March 2018. Great Stay! 5-stars from us!! The team who manages this house did a great job - friendly and very helpful! We had a great stay at Bali Breeze! The house was very clean and tidy and the amenities were exactly what we needed! We will definitely stay here again someday! Perfect Beach Vacation Get Away For Any Occassion!!!!! This beautiful, luxury, Indonesian style beach house was an AMAZING spot for our weekend vacation. The kitchen was fully stocked with everything you would need to make a meal, and there are plenty of great places to eat close by. 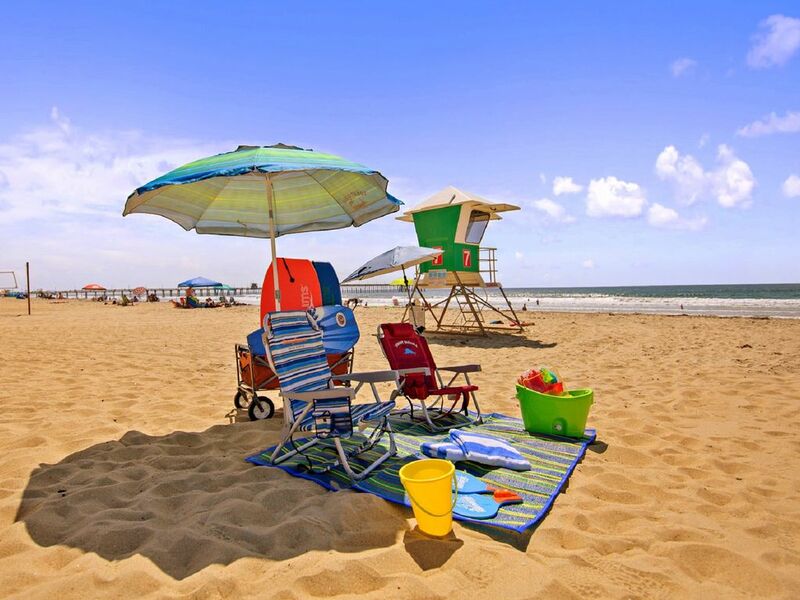 The beach is right across the street and the beach community is filled with happy faces and wagging tails! Love DOGS!! Definitely one of the best get aways we've had so far! The house itself had an extremely relaxing vibe and the privacy bamboo screen was my favorite when I would sit on the deck and read! Looking forward to coming back very soon! !